Andrew Wu is a gifted, local talent and very active in Metropolitan Detroit. A seasoned veteran at the Detroit Opera house, he has also appeared with the Detroit symphony and as a featured soloist with various orchestras in Detroit. As with this entire Orchestra Sono project, Andrew Wu and Music Director, Andrew Neer, were brought together by an act of kindness and worked together to raise funds for the Hurricane Relieve effort in October of 2017. Since then, they have worked vigorously to begin the formation of Orchestra Sono, a premier professional orchestra based in the cities of Bloomfield Hills and Birmingham. 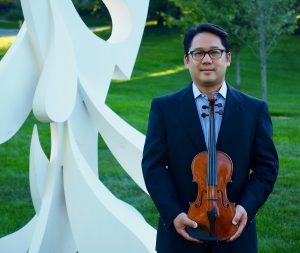 Mr. Wu is an advocate for music in and around Detroit and works to continue the education and appreciation of classical music to youth and adults. A perfect fit for this orchestra, he brings a diverse knowledge of classical music, musicians and passion for music education to the community.